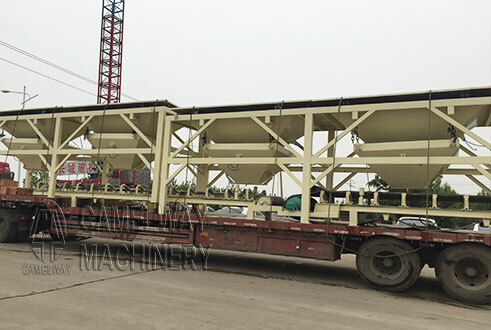 HZS90 concrete batching plant is efficient by adding materials with belt and could mix the concrete evenly with less time.The plant adopts the JS series twin-shaft concrete mixer which has lots of advantages such as mixing easily and efficiently long operating life facilitating maintenance etc. 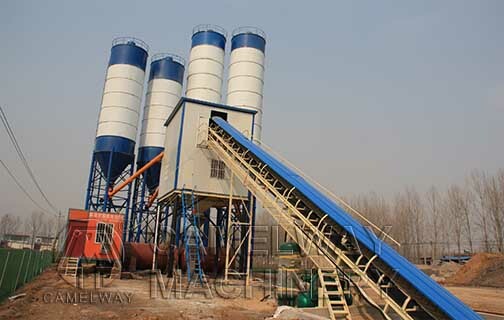 HZS series concrete batching plant is composed of aggregate batcher, concrete mixer, cement supply system, water supply system, cement weighing system, water weighing system and control system. High wear-resistant alloy twin shaft mixer is durable. Belt filling is saving-time. Adopt SIEMENS and SCHNEIDER PLC+PC control ,running fast and smoothly . With theoretical productivity 90m3/h, it is applied to roads, airports,ports project and massive concrete production. How Much Water a Cubic Meters of Concrete Need?